Betsy Atkins Betsy Atkins is a director at Polycom, HD Supply, SL Green Realty and Schneider Electric. She is also the CEO of venture capital firm Baja Corp.
Technology has created the age of the marketplace, which enables the maker of the product or service to connect with the consumer directly. If boards are not part of their companies’ innovation efforts, the marketplace model threatens to disrupt many businesses. These marketplaces extend to nearly all industries: Uber and Lyft created a new marketplace for taxis; Airbnb and Home Away in hospitality; eBay for various items; and Etsy for crafts. Even the sourcing of board members and advisors is being handled in a marketplace by ExecRank, which poses a threat to search firms. The marketplace model is not merely a new iteration of technology, but a fundamental recasting of commerce. If management is still focused on competitors from a year or even six months ago, a marketplace challenger may not even show up on the radar. In order to adopt and embrace this shift, companies will either need to partner with a marketplace company or decide to disintermediate themselves. To achieve this change, boards could create a new technology and innovation committee. This committee would look not just at technology trends, but also at encouraging management to think about what may be around the corner. A technology discussion is a naturalfit with a board’s strategic oversight duties and can bring in fresh thinking from the very top. The tech committee’s charter would assign it to look at innovative trends and business models — such as e-commerce and marketplaces — competitive dynamics and how technology can be exploited for the future. Boards would seek directors with a breadth of experience for this committee, not just tech experts. The ideal candidate would be a proven executive with solid exposure to cyber, social media and mobile, big-data analytics and e-commerce. Boards may also consider looking at technology industry leaders, CMOs, CIOs, CSOs and consultants who specialize in tech. Mixing deep technology expertise with a former or current CMO or a business development expert on the committee may cover these bases. Boards may look outside traditional director circles for skills. This new committee should meet around four times a year and have three or four members with the above backgrounds. But the committee should be different from the others in some crucial ways. While most information that boards receive is inward facing — such as company reports, financials and filings — the tech committee should have an outward focus. Members should review industry and analyst reports on the company and its sector. The committee would focus on maximizing a company’s margins and potential growth areas. The committee would also discuss technology risk issues, such as cyber crime and hacking, but also address risks that the company business model could overlook. A new technology committee needs to remain consistent with the board’s role of performing oversight and not actually create strategy or become an operating management function. Instead, the committee should challenge management’s thinking to ensure the company has addressed the risks of rapid change. A technology committee meets a vital need in the modern boardroom. It brings focused knowledge of technology to address the strategy and innovation oversight that is too often knocked off the current board agenda. This committee should work closely with the company’s chiefstrategy or business development officer, CTO and CMO to monitor management’s framework for evaluating new business models and how technology may help accelerate them. It should also look at adding a marketplace component to the company’s current business plan to stay relevant for the long term, if the company does not have one already. The marketplace model poses many risks to companies that do not adapt quickly. But a committee focused on technology and innovation can help boards find new opportunities and prosper. Agenda is a copyrighted publication. 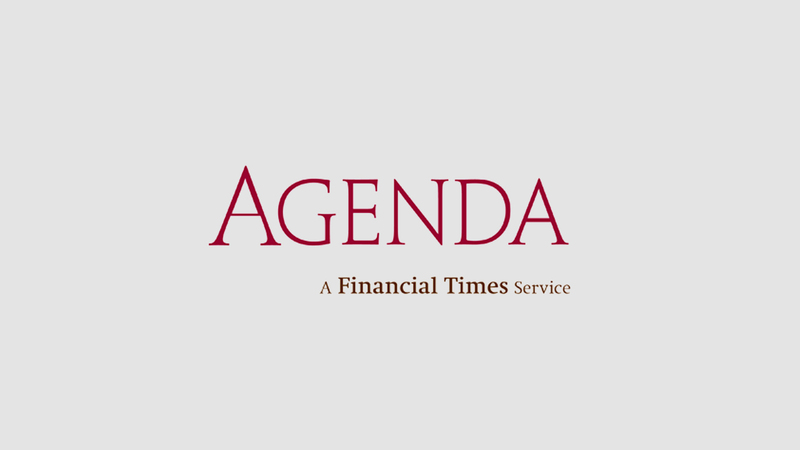 Agenda has agreed to make available its content for the sole use of the employees of the subscriber company. Accordingly, it is a violation of the copyright law for anyone to duplicate the content of Agenda for the use of any person, other than the employees of the subscriber company.